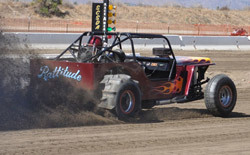 The Southern California Sand Drag Association (SCSDA) has released its 2013 race dates. March 1-3 will be the Season Opener with dates of April 12-14 & October 4-6 following with the Season Finale happening on November 15-17. All events will be held at the Soboba Casino location in San Jacinto, CA. For more info on the SCSDA, go to www.SoCalSandDrags.com. Dome Valley Raceway in Wellton, AZ will be holding a couple of Test and Tune sessions before the upcoming Top Fuel Shootout on January 25-27. The track will be open on Sunday December 9 starting at approximately 10AM. Following that, the Top Fuel Shootout Warmup test session will be held on January 12. More details are to follow on the January test session. For more information, contact Ernesto Juarez at 928-503-9675. As you can imagine, the past couple months have been very busy for NSDN. It was an unprecedented run of events with traveling to events five weekends in a row with the final tally being six events in a seven week span. By the end, the traveling certainly took its toll, but it was all worth it in the end to see some of the best sand drag racing in the history of the sport. Ultimately, NSDN is a little behind in the race recap department, but it is in the process of catching up & will post them as they get completed. The Southern California Sand Drag Association (SCSDA) held their third event of the 2012 season over the last weekend of September. This event was also the fifth of eight races in the 2012 NSRA Quality Aircraft Care Sand Drag Series. Sunny skies and warm weather greeted racers from across the Southwest U.S. for this great battle in So Cal. 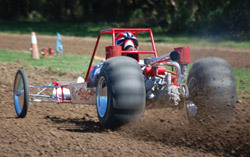 The Mid-America Sand Drag Series made its third stop of the 2012 season in late September. This event would be the Show-Me Fall Nationals at Thunder Valley Sand Drags in Grain Valley, MO. Great fall weather greeted racers with cool air setting the stage for fast times and hot competition. Let’s take a look at the action from this event. DomeValley Raceway in Wellton, AZ has announced that the 2013 Top Fuel Shootout will take place on January 25-27. This will be a three-day event with Friday featuring early round Heads-Up Qualifying as well as the popular Pro Truck class, a Pro Shootout for Cars, and two ATV Classes (Pro AND Sportsman). Saturday & Sunday will follow the normal format for previous Dome Valley Raceway events. Stay tuned for more information on this event. The 2012 NSRA Quality Aircraft Care Sand Drag Racing Series wrapped up with the “Season Finals” at the Soboba Casino in San Jacinto, CA. Several points battles came down to the final rounds of the season. Click on the link below to read about some of those battles as well as read the full final 2012 points rundown. The awards and plaques will be passed out at the 2013 Season Opener at Dome Valley Raceway in Wellton, AZ. Thanks to all of the racers and sponsors who made this a great point series all season long. Avenal Sand Drags in Avenal, CA has announced their 2013 race dates. The Central California track has decided to keep the same weekends they used in 2012, so the dates will be April 27-28 & October 12-13. For more information on Avenal Sand Drags, check out their new website at www.AvenalSandDrags.com.